You searched for judgment notwithstanding - В сложной финансовой ситуации приходит на помощь кредит наличными в Казахстане. There are times where (potential) judgment debtors try to be way to crafty. And, guess what, it doesn’t always work! A recent case exemplifies this point. In DeJesus v. A.M.J.R.K. Corp., 43 Fla. L. Weekly D331a (Fla. 2d DCA 2017), a plaintiff sued a defendant corporation in a personal injury action. During the litigation, the defendant corporation transferred residential property it owned to its sole shareholder. This was done through a quitclaim deed and was obviously done as a down and dirty asset protection technique. Of course, the quitclaim deed lacked consideration and was defective – the transfer was invalid. The plaintiff recovered a judgment against the defendant and initiated proceedings supplementary, as a judgment creditor, to collect on the judgment. (Getting the judgment is one thing. Collecting on the judgment is another and oftentimes the most important consideration.). Plaintiff asserted a claim against the shareholder arguing that the transfer of the property was not effective and was done to prevent the forced sale of the asset owned by the company. The trial court held that even though the conveyance of the property was ineffective, the sole shareholder was entitled to homestead protection on the property, meaning it was protected from a forced sale of the property. On appeal, however, the appellate court reversed. The property was owned by the corporation (the transfer was ineffective) and a corporation is not entitled to homestead protection. Just because the sole shareholder lived in the property did not change the fact that the property was owned by a corporation; it also does not give the sole shareholder an interest in the corporation’s property. Ultimately, this will mean that without the homestead protection the judgment creditor should be able to force the sale of the residential property, which is likely the only asset owned by the corporation. If you are a defendant in a lawsuit, doing things down and dirty doesn’t always work, as the defendant in this case may have found out. Make sure to consult with counsel so your interests are best protected. It is highly likely that the defendant in this case considered the advice of counsel but did things notwithstanding the advice. Perhaps the defendant did not even consult with counsel thinking once the property was transferred during the litigation the corporation was judgment-proof. After the plaintiff puts on its case-in-chief, you, as the defendant, move for a directed verdict. (Check out this article too for more on directed verdicts.) The court denies the motion for a directed verdict. You put on your defense and then the case is submitted to the jury. The jury returns a verdict in favor the plaintiff. You then move to set aside the verdict (also called a motion for judgment notwithstanding the verdict). The trial court denies your motion and enters final judgment consistent with the jury’s verdict. You appeal the trial court’s denial of the motion for directed verdict / motion to set aside the verdict. An appellate court must review a trial court’s determination on a motion for judgment notwithstanding the verdict de novo and “evaluate the evidence in the light most favorable to the non-moving party, drawing every reasonable inference flowing from the evidence in the non-moving party’s favor.” Miami-Dade Cnty. v. Eghbal, 54 So. 3d 525, 526 (Fla. 3d DCA 2011). 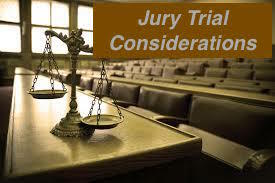 Additionally, we must sustain a jury verdict if it is supported by competent substantial evidence. Hancock v. Schorr, 941 So. 2d 409, 412 (Fla. 4th DCA 2006). Frieri v. Capital Investment Services, Inc. , 41 Fla.L.Weekly D1189a (Fla. 3d DCA 2016). In other words, the appellate court will evaluate the evidence in favor of the non-moving plaintiff (part that did not move for the directed verdict) drawing reasonable inferences in its favor. If there was competent substantial evidence supporting the jury’s verdict, the court will affirm the judgment in favor of the plaintiff. Now what if after the plaintiff puts on its case-in-chief, you, as the defendant, move for a directed verdict and the trial court grants the directed verdict in your favor and against the plaintiff. The plaintiff appeals the trial court’s granting of your motion for directed verdict. While the standard of review for the trial court’s entry of a directed verdict is de novo, an appellate court “can affirm a directed verdict only where no proper view of the evidence could sustain a verdict in favor of the nonmoving party.” Banco Espirito Santo Int’l, Ltd. v. BDO Int’l, B.V., 979 So. 2d 1030, 1032 (Fla. 3d DCA 2008) (quoting Owens v. Publix Supermarkets, Inc., 802 So. 2d 315, 329 (Fla. 2001)). In other words, the appellate court will evaluate the evidence to see if no proper view of the evidence, and all inferences drawn from the evidence, could support a verdict in favor of the plaintiff. Thus, if the plaintiff fails to introduce any evidence substantiating its claims (or a claim) against the defendant (i.e.,to sustain a verdict in favor of the plaintiff), then the appellate court will affirm the directed verdict. Wald, 64 So.3d at 1205 (Fla. 2011) (citations omitted). A defendant may move for a directed verdict after the plaintiff puts on all of its evidence. A plaintiff can move for a directed verdict after the defendant puts on all of its evidence as to an affirmative defense. And, a plaintiff (referred to as a counter-defendant) can move for a directed verdict after the defendant (referred to as a counter-plaintiff) puts on all of its evidence if the defendant has counter-sued the plaintiff. Fla.R.Civ.P. 1.480(b). This means that if a party moves for a directed verdict and that motion is denied, the trial continues and will be submitted to the jury to render a verdict. If the verdict favors a party (e.g., plaintiff), the opposing party (e.g., defendant) within 15 days can file a motion for the court to set aside the verdict and enter a judgment in accordance with the earlier motion for directed verdict. This is important because if a party does NOT timely move for the court to set aside the verdict and enter judgment in accordance with the directed verdict, the party will NOT have properly preserved the directed verdict for appeal. See Murray v. State, 27 So.3d 781 (Fla. 3d DCA 2010) (defense failed to timely preserve directed verdict for appeal because it did not move the court to set aside the verdict and enter judgment in accordance with the directed verdict). Oftentimes, a party at the conclusion of a trial will move the court to set aside the verdict and enter judgment notwithstanding the jury’s verdict or, alternatively, move the court for a new trial. See Fla.R.Civ.P. 1.480(b). Hence, if the court is considering granting a motion for directed verdict, it may deny the motion to see how the jury decides the evidence. If the jury still finds in favor of a party, the judge can (if a party timely moves for a judgment not withstanding the verdict) still enter a judgment notwithstanding the verdict. 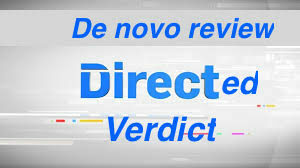 The standard of appellate review if a trial court grants a directed verdict is de novo. See Merritt v. OLMHP, LLC, 112 So.3d 559 (Fla. 2d DCA 2013). This is the same standard of review if a trial court grants a motion to set aside the verdict and enter judgment in accordance with the motion for direct verdict (again, also called a motion for judgment notwithstanding the verdict). See Specialty Marine & Industrial Supplies, Inc. v. Venus, 66 So.3d 306 (Fla. 1st DCA 2011). If you have perused this blog, then you know if there is a new case discussing the business records exception to the hearsay rule, I am writing about it. The reason being is that it comes up in many business disputes. Lately, there has been a trend where this business records exception comes up in mortgage foreclosure cases where the borrower argues that the lender failed to properly introduce key evidence (such as payment histories) under the business records exception. As a result, the evidence was inadmissible hearsay warranting a reversal of a foreclosure judgment. The recent opinion in Evans v. HSBC Bank, USA, 42 Fla. L. Weekly D1033a (Fla. 2d DCA 2017) is but another example of the business records exception coming up in a mortgage foreclosure case. 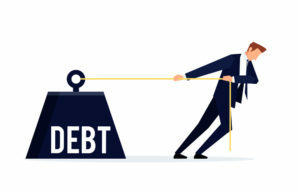 At trial, the lender offered the testimony of an employee of a loan subservicer to introduce the borrower’s payment history from different servicers. Her knowledge came from reviewing records. However, she confirmed during examination that (i) she really did not create the payment history of the borrower, (ii) another servicer created most of the payment history, (iii) the payment history was transferred over to her company, (iv) she did not know who created most of the entries on the payment history, and (v) she did not know the procedures used to incorporate other payment servicer’s records into her company’s records. Notwithstanding, the trial court admitted the payment history into evidence over the borrower’s objection that the payment history was inadmissible hearsay not satisfying the business records exception to the hearsay rule. As you know from prior articles, hearsay is an out of court statement (written or oral) offered for the truth of the matter asserted. Thus the payment history (a written out of court statement) is hearsay. But, there are exceptions to the hearsay rule to introduce certain hearsay evidence. 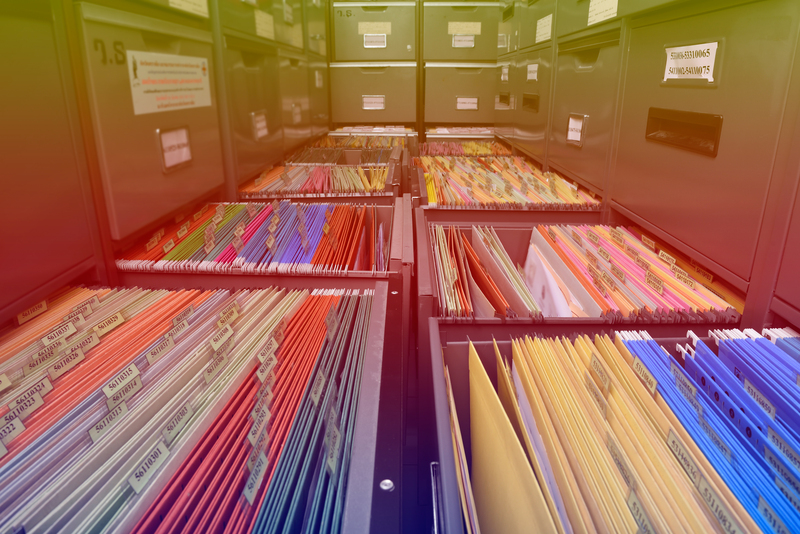 One applicable exception is the business records exception. it was a regular practice of the business to make such a record. Of course, there is more to this with many cases discussing these foundational requirements. In this case, the witness could not properly lay the foundation since she did not know the procedures of prior loan servicers or even the procedure to incorporate their business records into her company’s business records. 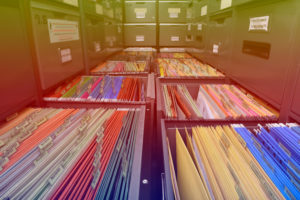 There was no testimony establishing the reliability of such records that is the hallmark to admitting evidence under a business records exception to the hearsay rule. Based on this lack of reliability, the appellate court reversed the trial court’s ruling. Any party seeking a judgment taxing costs, attorneys’ fees, or both shall serve a motion no later than 30 days after filing of the judgment, including a judgment of dismissal, or the service of a notice of voluntary dismissal, which judgment or notice concludes the action as to that party. This is a specific statutory time period and a motion for rehearing does NOT toll this 30 day period. Jackson v. Anthony, 39 So.3d 1285, 1286 (Fla. 1st DCA 2010). This means that a motion for a final judgment taxing attorney’s fees and costs must be made within 30 days after the filing of a judgment or voluntary dismissal that concludes the action as to that party. (A court in certain circumstances may grant an extension of time to this 30 day period if the motion for extension is filed within 30 days). Not timely filing a motion for attorney’s fees and costs can result in…(you guessed it)…a loss of a party’s right to recover attorney’s fees and costs. In Hovercraft of South Florida, LLC v. Reynolds, 42 Fla. L Weekly D367a (Fla. 5th DCA 2017), the plaintiffs prevailed and received a final judgment. The defendant moved for a new trial and/or rehearing which was denied. 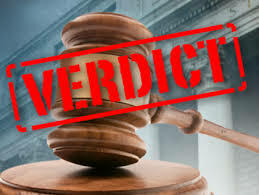 Within 30 days of the denial of the defendant’s motion for rehearing, but well outside the 30 days from when the final judgment was entered, the plaintiffs moved for attorney’s fees and costs. 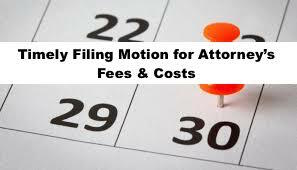 However, the motion for attorney’s fees was not timely filed within 30 days of the filing of the final judgment meaning…(you guessed it again)…the plaintiff’s lost the right to recover their attorney’s fees and costs!!! Do not let this happen to you. Notably, an exception to this 30 day requirement is if the final judgment itself determines entitlement to attorney’s fees reserving only the right to determine the quantum of the reasonable attorney’s fees. Hovercraft of South Florida, supra (“In order to avoid the thirty-day requirement, the judgment itself must determine entitlement to attorney’s fees and costs and reserve jurisdiction only as to the amount owed.”) Notwithstanding this exception, file the motion for attorney’s fees and costs within 30 days — no excuses. Trial Perspectives / Comments Off on Just Say NO! 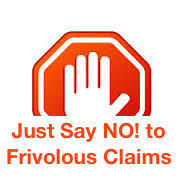 to Frivolous Claims! Otherwise 57.105 May Apply! As a lawyer, it is important to examine your client or prospective client regarding the facts of their case. In this manner, it is important to conduct legal research to support legal arguments, especially arguments applied to the facts. The bottom line is that you want to make sure you are NOT filing a frivolous claim or defense, which is typically one that (a) is NOT supported by material facts necessary to support the claim or defense or (b) NOT supported by the application of the law. See Fla. Stat. s. 57.105. If you do, you could be exposed to sanctions—be liable for the opposing party’s attorney’s fees and costs. But such exposure can also run to the lawyer. (4) A motion by a party seeking sanctions under this section must be served but may not be filed with or presented to the court unless, within 21 days after service of the motion, the challenged paper, claim, defense, contention, allegation, or denial is not withdrawn or appropriately corrected. There are attorneys that will serve what is known as a “57.105 motion for sanctions” telling you that unless you dismiss the claim or defense within 21 days (known as the safe harbor time period) they will file the motion and seek fees and costs associated with the claim for defense. Some attorneys do this as an intimidation tactic. Notwithstanding, an attorney should consider the substance and merits of the motion. But, what if a party’s 57.105 motion is defective or they do not give the 21 days safe harbor time period? In a recent decision Watson v. Stewart Tilghman Fox & Bianchi, P.A., 41 Fla. L. Weekly D1523a (Fla. 4th DCA 2016), a party served a defective 57.105 motion for sanctions. Nonetheless, the trial court still awarded sanctions (fees and costs) against the plaintiff and her lawyer on the court’s own initiative based on the frivolousness of the plaintiff’s lawsuit. The appellate court held that a trial court can award sanctions (fees and costs) on its own initiative (based on the frivolousness of the claim) and, if it does so, the 21 day safe harbor provision does not apply. OUCH!